Available statistics on your community's commitment. The collaborative aspect, important for startups and companies. No automation for social networks. Your online visibility is crucial in 2018. It goes mainly through social networks that are an excellent showcase for your products and services. From the small blogger to the Youtubeur via the big company, it is essential to manage your image and to have a strong online presence. Hootsuite is a tool dedicated to managing your social networks. The idea is to manage all your accounts in one place, in just a few clicks. The editorial staff tested you for Hootsuite for a week: here’s our review of the Hootsuite Social Media Tool! 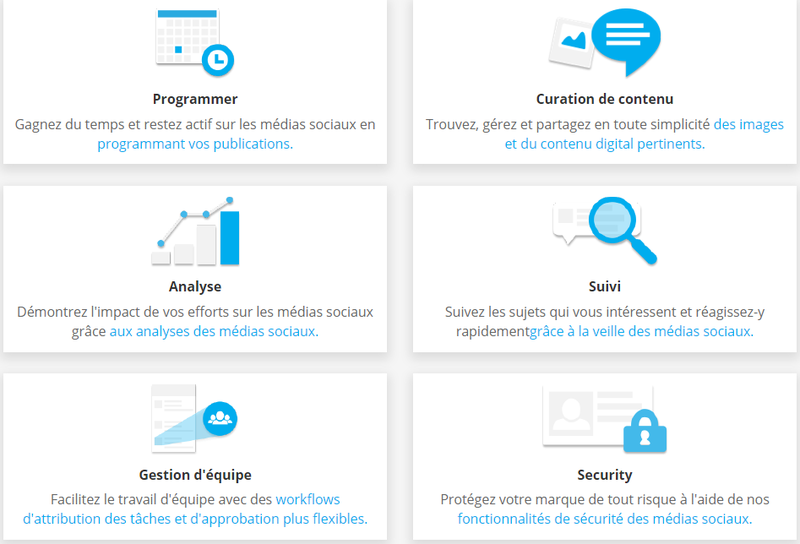 Hootsuite: for which social networks? Let’s take a closer look at what Hootsuite is going to help you optimize on social issues. The first social network targeted by Hootsuite is Facebook. Since Hootsuite, you will be able to manage the publication of your videos and images. This type of content promoting the most commitment is an interesting feature. You will be able to program your posts from the dashboard. You will be able to prepare in advance Facebook posts, in order to publish regularly in time. This is a significant time saving, the publication of posts requiring some preparation time, it may be wise to schedule them all at once. In addition, if you are more administrators managing a group or Facebook page, Hootsuite has interesting collaborative features to delegate certain tasks, such as the response to certain publications. For example, in a company present in different countries it may be interesting to assign the answer to a comment to the right team. 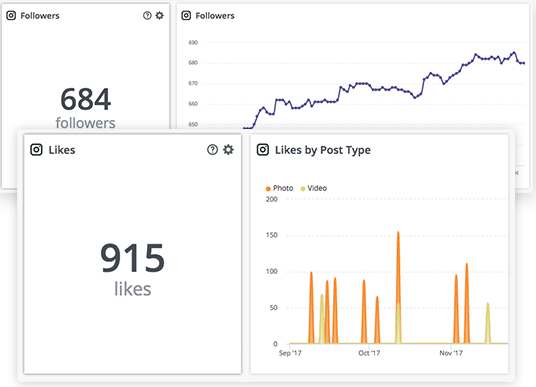 Finally, visual reports are available and will allow you to see at a glance the engagement generated by your posts and the growth of your account via KPIs such as increasing the number of fans, links, etc. .
Like Facebook, Hootsuite can manage Instagram from its dashboard. You will be able to monitor the activity of competing accounts, your customers, the hashtags that interest you as well as photos by location. 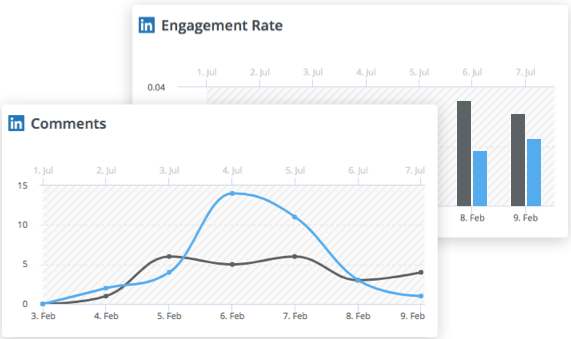 Finally, custom reports can report the results of your publications: number of follows, likes. The tables, simplified to the extreme, allow to see at a glance the commitment generated. Useful Accuracy: Hootsuite does not support the automation of tasks such as follow/unfollow like a classic Instagram robot. For these kinds of tasks, we invite you to take a look at tools like Jarvee or Combin . Just like Instagram & Facebook, Hootsuite will be used to program your Youtube videos, but also their publication on social networks from the interface of the tool. The collaborative space also allows you to delegate the publication / programming of videos by assigning tasks to your colleagues, without you having to share a password. Here too it is possible to program several videos in advance which will allow you to save a lot of time and focus on what matters: the production of new videos. You will also be able to follow the impact of your videos thanks to the statistics proposed by the tool. For fans of the most popular professional social network, Hootsuite will allow you to schedule your posts on Linkedin. The tool provides the ability to precisely configure publishing settings to target a location, industry, or profession to reach a relevant audience. Here too, everything is accompanied by statistics that capture the commitment of those who have been affected by your publications. The analysis reports will allow you to understand which publications had a great popularity while others did not work (do not worry, it all happened to us one day!). Useful Accuracy: Hootsuite does not support the automation of tasks such as automatic account addition / automatic message sending. For this, you will be directed to a tool such as Jarvee. Once again, Hootsuite will allow you to automate your posts on Twitte. Whether videos, posts, photos, the Hootsuite dashboard takes care of everything. The team collaboration option is also available. As with all the other social networks mentioned above, Hootsuite will allow you to manage the publications of your images & amp; paintings (public or secret) on Pinterest. Here too the dashboard, very intuitive will allow your team to intervene so that everyone takes care of the task assigned to it. Hootsuite proves to be an interesting tool in case you need a software allowing you to manage all your accounts from a single dashboard. Indeed, if you have many accounts associated with your brand, the tool will save you a lot of time. However, if you only have one or two different accounts, the tool is not essential. In addition, we prefer to say it again, Hootsuite is not intended for growth hackers eager to grow their audience via a robot to automate follows. It is a tool for monitoring and programming your accounts that will save you time. The bet is successful and the tool is intuitive, affordable and complete. Its collaborative features will make it very interesting for companies whose presence on social networks is paramount. Price: € 109 / month 20 profiles, 3 users. Hootsuite: Is there a free offer? Hootsuite offers a 30-day trial offer. You can benefit by clicking here.